Dear Sir/Madam My elderly mother and I have just returned from a 19 night stay at The Indian Resort & Spa. Excellent, thank you Mercury for a truly wonderful holiday, 10/10 for all travel arrangements, we have never had such a carefree holiday in all ways. We go abroad at least twice a year, always with a travel agent, so I was not too sure about this holiday, having to go via Paris. But you made everything so simple. Thank you once again, this has to be one of our best holidays yet, even though we have done Mexico, Cuba, Dominican Republic and six cruises. 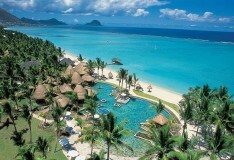 Sirs, just thought we should let you know that our recent holiday to Mauritius was an outstanding success!! We stayed st the Silver Beach Hotel. Everything was better than expected. Please feel free to use our comments as an endorsement for your company. 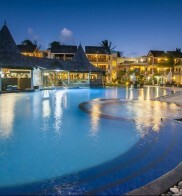 Dear Sir/Madam, My husband and i have just returned from an 11 night stay in the Casuarina Hotel in Mauritius. I must say what a great holiday we had, very relaxing in an excellent hotel. The food was excellent and the staff could not do enough for us. This meant that we had nothing to do or worry about other than having a great time. We used most of the facilities available to us including the water sports, which we really enjoyed. Danny, our rep, was excellent; He was punctual and reliable, very helpful without being pushy. This is our 3rd long haul holiday with you and we will certainly use Mercury Direct again. From the first phone call enquiry about the holiday to the end of our stay everything went smootly. We would also like to pass our thanks to the young lady named Chantel who was excellent on the phone during the initial process of booking the holiday. She was pleasant and a pleasure to speak to on the phone. Thank you once again for a superb holiday. Dear Mr Bugeja, My wife and i did not consider it sufficient merely to complete your questionnaire. You will see from our responses how highly we rated our recent holiday. We were impressed by the arrangements you had made for the two-centre stay and that the price was exactly what you had quoted- no hidden extras! All the travel arrangements, flight bookings and transfer pick ups went like clock work. Our room at Le Palmiste Hotel was comfortable and very well serviced. The All Inclusive menu was excellent and the kitchen and dining room staff were really friendly and obliging as were the bar staff. One of the chefs personally supervised our vegetarian options. 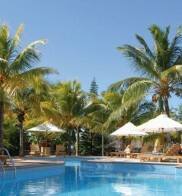 The friendliness of all the hotel staff made our stay in Mauritius very special. At the Park Inn in Capetown we again received friendly helpful service especially from the reception staff. There was a wide choice of delicious food at breakfast.which was the only mean included at this hotel. This ranks as one of the best holidays we have had and we are grateful for your excellent organisation and value for money. I would like to thank you for a lovely holiday we had to Mauritius departing the 21 June we had a 2 day stay in Dubai where all the transfers were fantastic and very efficient. 10 days at the brilliant Silver Beach and another 2 day stay in Dubai at the Rydges Plaza on the way back. We all felt it was the only way to do a long haul and we will do that journey via Dubai again anytime. Flights with Air France very good. Arrived early morning. Wife ill after long flight. Taken care of by medical centre. Your representative connected us to driver for entertaining drive to Gold Beach Resort, Flic en Flac. Hotel very accommodating, straight into our room, after freshening invited to restaurant for breakfast. This we found to be typical hospitality by the Mauritian folks. Room clean, comfortable, air con, well stocked every morning. Room E1, 10 yards from restaurant bar and 20 yards from the beach and swimming pool. Danny your representative arrived on appointed time, well dressed and good presentation, very helpful. On our trips Prentice and Sarah were excellent, very enjoyable indeed. All staff - waiters, cleaners, gardeners, very helpful. We were told bus travel cheap, reliable and safe - used them many times, regular and good fun. Danny made us aware of the safety factors and the reception staff warned us to take care regarding beach salesmen (there are not many and they will take no for an answer). Hotel entertainment - Sega Dancers, disco, very good - in fact wedding and dancers promotion on local TV from our hotel. Your staff Mercury and Cathay looked after us very well. Danny called couple of times and made sure we were collected Sunday for our return flights. Packed breakfast provided by head waiter. Our hotel food was varied and well presented - Indian, Chinese, Italian, French, Greek, plenty of fruit and veg and fish. Breakfast continental and mixed English fruit. To say that all dairy products and wheat are imported together with meat - except chicken - menu's were very good. We were very sorry to leave this beautiful green island and its happy and helpful people. We flew with Emirates which is always good, and arrived in Mauritius for a good welcome and transfer. Arrival at the Bougainville was very welcoming with a drink and room key quickly provided. It was 11.30 and we were told our package started at 12 noon so a part unpack and then a very welcome drink and sit on our balcony. For the price and its star rating the hotel was superb and we enjoyed every minute of it. We were in room 211 which overlooked the pool and clean, comfortable and being half way up the site was handy for the restaurant or the bar in reception, having said that you were never far from anything anyway as it was such a friendly compact hotel. In the restaurant 2 staff stood out - Daveena and Delila, and in the bar a superb guy called Monty. If you are in contact with the hotel please tell them of these 3 people, they were wonderful. We arrived in Dubai to be met by a superb gentleman, sorry I forgot his name, but how he got airside is a mystery. He led us into business/first class queue for immigration and then was waiting with a trolley at the other side and then, once our luggage was picked up, straight to our limousine. We landed at 5.15am and at 6.30 we were in reception at the Savoy suites, this was service indeed. A short wait and we were in our room. My wife and I have travelled extensively over the years and the suite at the Savoy was really impressive. The breakfast was really good and the evening dinner menu was excellent and we thought terrific value for the hotel and Dubai. We did one trip which was very, very good value from Gulf Ventures. It was the Dubai city tour in our own limousine and was wonderful. We had 15 minutes at the new Atlantis which was almost worth the price on its own. As you can see we had a wonderful holiday for our 45th anniversary and will book with you again. 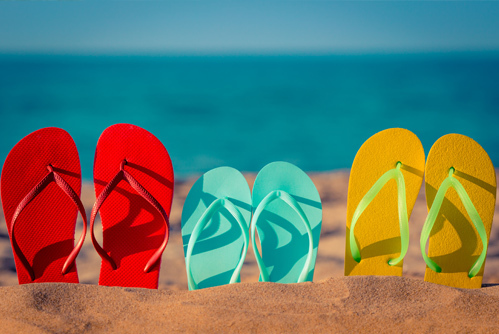 This is the first time we have booked with Mercury Direct and we'd like to thank you for a wonderful holiday. We have recently returned after 3 wonderful weeks at this lovely hotel with the most friendly and helpful staff ever. It is a small 3 star hotel with very good service and warm atmosphere and good food and we'd recommend it to anyone. Flight with BA was good and only half full so we could spread out. We were met at the airport by Cathay Tours. They were there to greet us, we were transported on our own in a minibus and the driver gave us info as we travelled. Arrival at the Hotel we were given a welcome drink and information while we waited about an hour for our room to be cleaned as we arrived in the morning. The reception staff were all very helpful and friendly. Our Room We had a really good room with the best of views, overlooking the swimming pool and the beach. 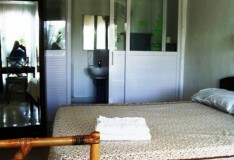 We were lucky enough to have 2 bedrooms and a huge bathroom with a walk in shower. We had a large balcony where we could sit and watch the sunset each evening although not all rooms had balconies, so it's best to ask for one. We had tea & coffee facilities, a large flat screen, a hair dryer and a safe. The maintenance staff quickly dealt with any problems we had. Our cleaner was very helpful and adequate, and they seemed to buy brand new towels while we were there too which replaced the old ones. Food We found the food all very good. Breakfast consisted of fresh fruit, yoghurt, bread, toast, cheese, eggs to order, bacon, sausage, baked beans, liver & onion (Mauritian), special Indian breakfast , cake, croissants, chocolate buns, fruit juice, tea and coffee. Dinner was usually a buffet, very varied. All kinds of salads. They have the best Indian chef, Ramesh, who we became friends with. He cooked all vegetable curries, and usually there were at least 3 with rice and chapattis. All delicious. They would also have some kind of meat dish, and fish dish too, plus other vegetable dishes. Some nights it was a Chinese buffet. Also, on occasion, there was pasta. And sometimes a barbecue. The best desserts were the almond éclairs! And there was always fruit salad. If you wanted something extra, they would always try to make it for you. The chefs were always on hand to explain what the dishes were and to help if you needed it. Staff The staff are the friendliest people I have ever met in a hotel. Where else can you be sitting on a sunbed and a manager will come up to you and shake your hand and ask if everything was alright! All the staff in the restaurant were very efficient, incredibly friendly and helpful. The reception staff were wonderful too. As were the gardeners, cleaners, maintenance staff, bar staff and the managers. All very efficient. The Beach The beach is kept very clean, especially in front of the hotel. They have some sunbeds on the beach with a few umbrellas. 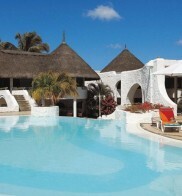 There are also some sunbeds around the pool with a few umbrellas too. We never had a problem getting a sunbed if we wanted one. My husband went snorkelling most days from the beach and found a variety of fish as it is very shallow. The Island We hired a car because we like to see the whole place and not just sit on the beach. It's a beautiful island. The interior of the island is very beautiful and lush green vegetation everywhere with fields of sugar cane everywhere. There are some wonderful beaches too. Driving is fairly good, but be aware that the road signs are a bit lacking at times and the maps are not so good. However, we did manage to see a lot and it was well worth it. Cathay Tours The representative Danny came to meet us on our first day to give us information and tell us about the tours. He arrived on time and was very friendly and helpful and not pushy like other reps in other countries. We did not actually go on any tours as we hired our own car. However, Danny kept in touch by phone a couple of times and he also found out some info for us regarding travelling home. He was extremely helpful and efficient. We particularly chose this hotel because it is small and friendly and we didn't want to stay at a big all-inclusive hotel. And another reason we chose it, is because we had read reviews about the Indian chef and how good his food was. This indeed proved true. I promised to let you know whether the Ambre on Mauritius was good or bad. Well if I were you I would change my hotel! Only kidding!!! It was everything you could wish for and more. Food good if a bit repetitive but the staff were fantastic, always smiling and helpful. The beach is glorious and you will have to drag yourself away. If you do only one trip make it the island hopping, a really great day out. We just managed to get away the day before the volcano blew and I did wish to be stranded there for some time. 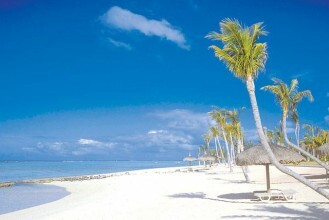 Very high factor sun cream required which is expensive in Mauritius so take it with you. Wonderful holiday, shame it is over! We would like to say a sincere thank you to all the staff and management of the Indian Resort for their warm welcome. Always ready to help with a sunny smile. Your food was excellent, fresh and wonderfully varied. The complex clean and the rooms clean with restful decor. We shall certainly recommend you to all our friends and show them our photographs. We leave reluctantly but take our memories with us. 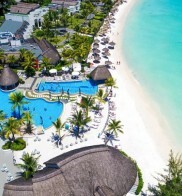 We enjoyed our holiday at the Pearle Beach Resort in Mauritius with Mercury Direct very much. We could not fault the hotel at all the staff were very good and would do anything to make our holiday very welcoming the food was great and everything was very clean. We will reccomend Mercury Direct to our friends and will certainly be booking with you again. I feel in an age were everyone complains, I must write and praise your staff. From arriving at Manchester airport the holiday was fantastic, the flight to Dubai the taxi to the hotel. The hotel Marco Polo and the staff there were brilliant, they could not do enough for you. The taxi back to the airport and the flight to Mauritius to be picked up by taxi again and taken to the Hotel Pearle Beach were brilliant again. The reception at Pearle Beach and the room we had was excellent, we had found paradise. The staff at Pearle Beach were fabulous. The waiters and waitresses the bar staff were all fantastic who did everything in there power to make sure we had a good time. The flights home were again excdellent and we have been left with so many wonderful memories. Again I must thank you and your wonderful staff, and i will be booking another holiday with you next year. P.S I have recommened you to all my friends. Just a short note to thank all concerned with our wonderful trip to Mauritius and Perth. Air Mauritius flights were very comfortbale in economy class. The Casuarina Resort was paradise, beautiful gardens, attentive staff and 2 refreshing pools with superb gardens and views. Access to local bus service enabled us to see the local life - wonderful. The Blue lagoon was magical too. In Perth the Sorrento Beach was very comfortable and nicely situtated. We did not hire a car - so we were dependant on local buses. However a ticket price of approx $9 per person per day gave us trips to scarborough beach, The kings park was beautiful. weren't we lucky. Thank you so much Mercury. Just back from our third visit to Le Palmiste in Trou Aux Biches in Mauritius in 18months. It is better than ever; the service of your reps in resort and at the airport were second to non. The staff at the hotel are wonderful and the food is now better than ever. We truly have found our perfect holiday with the best Travel company we have ever used. Thanks Le Palmiste and thanks Mercury Direct, see you again soon. I Just wanted to say that we had a great holiday to Mauritius at the Pearle Beach Hotel in February through Mercury Direct. The booking process was very smooth and the holiday was as good as we hoped it to be. We have used Mercury Direct on three occassions now and have been very satisfied with the service and the holidays. 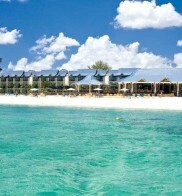 Just back after 10 days at the Silver Beach hotel in Mauritius and 3 days at the Metropolitan palace Hotel in Dubai. Both hotels were wonderful the whole holiday an experience to remember. All the transfers went smoothly and we would like to congratulate your company on the superb arrangements. In July my family and I had a fantastic holiday at the Pearle Beach, Wolmar, Mauritius. The hotel bar staff and waiters could not have been nicer. Your rep, Rama, was very helpful and not at all pushy. The chauffeur who took us on our excursions gave us lots of local information. The weather, too, couldn't have been better all adding up to the perfect holiday. Thank you so much! Emirates Airline- superb Local reps - cathay tours, local guide also excellent. I have travelled with your company since we visited Australia in 2001. We have used yourselves now to visit 6 countries and am glad to say the arrangements and organisation has been exemplary and throughout the last 10 years or so has maintained a level of the highest standard. Our recent visit to the Casuarina Resort and Spa in Mauritius was magnificent. The rooms were more than adequate, the lush grounds beautiful. The service was superb from all the staff, young and experienced in the bar and restaurants, the cleaning was excellent, the reception staff were also extremely professional and we felt this hotel was the best we have ever visited having been to other hotels considered to be more stars. have just had the pleasure of speaking with your travel operative Molly Durling whilst booking a holiday to Maritius to celebrate my 50th Birthday and our wedding anniversary. As a nation I think we are all too quick to complain when we get bad service but never make an effort to acknowledge excellent service. The purpose of this email is to rectify this. Having spent almost 30 mins this morning getting a quote for this once in a lifetime holiday with your representative Molly i then rang to confirm my booking this afternoon. Molly was initially unavailable but rang me back almost immediately. We then spent 49 minutes fine tuning the holiday and getting the best deal possible for me the customer. Throughout the call Molly was professional, polite, patient and curteous. There is no doubt that she secured the deal for your company. This is the first time i have used Mercury direct and thanks to Mollys efforts I can assure you it wont be the last. She is undoubtabley a credit to your company and i would appreciate you passing on my personal thanks to her for all her hard work. 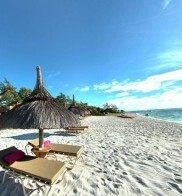 We had a fabulous holiday to Mauritius on the 6th of November for two weeks staying at the Jalsa Beach resort and spa. I will be using Mercury Direct to go back there again in the near future. The hotel staff were lovely and friendly and nothing was too much trouble for them. The hotel, pools and grounds were kept spotlessly clean. 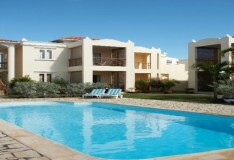 The hotel is situated very close to the beach, bus stops, a few shops and supermarket. All in all a great hotel. At the time of booking it was great to speak to your staff who had actual experience of Mauritius and advised us well to stay on the west coast at this time of year to avoid the windier weather on the east coast. Really helpful advise and we had beautiful weather in a Mauritian winter! We had a wonderful holiday at the Pearle Beach Resort and Spa. 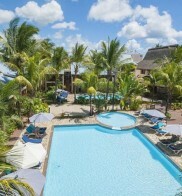 The location on the beach, beautiful pool and excellent, spacious room with its magnificent view over the Indian Ocean made this hotel the perfect choice. The most perfect holiday. Excellent service, all very clear instructions and on who and where to meet reps when travelling and information was spot on times and reps where they should be. Never felt stranded or alone the rep always made you feel at ease throughout the 14 days. Excellent service, Mercury Holidays I will recommend. Dear Mercury Holidays, Firstly I would like to say what a wonderful holiday my friend and I had in Mauritius with a stopover in Dubai. Everything was perfect from the efficient travel with Emirates to the quality of food and service in both the Marco Polo hotel in Dubai and the Pearle Beach Resort & Spa in Mauritius. Secondly I would like to say that I hope this letter will prove to be a useful vehicle in support of Mercury Holidays.